Rally Connex will be hosting off-road training classes sponsored by Studio Cycle Group and Husqvarna Canada on Saturday May 6th, Sunday May 7th, and Saturday May 13th, 2017. Each class will consist of classroom sessions, in field training sessions, and trail rides. Saturday May 6th’s training class will be geared toward Enduro type motorcycles with more aggressive tires. Sunday May 7th’s training class will be geared towards larger adventure bikes and covering all types of on and off road techniques. Saturday May 13th’s training class will be a ladies-only event put on entirely by female riders. Mornings start with a 7:30 AM sign in and an 8:30 AM start time in Haydon, Ontario, about 1-1.5 hours east north east of the city. Before getting on two wheels, riders will brief on basic GPS functions, route navigation, and protective equipment. Riders will then move over to their motorcycles to discuss topics like motorcycle set up and body position, how to attack obstacles, weight and balance management, and luggage. Motorcyclists will then gear up and follow the routes to the various training areas. Each training area will have a focus area and a set of skill training drills led by instructors. 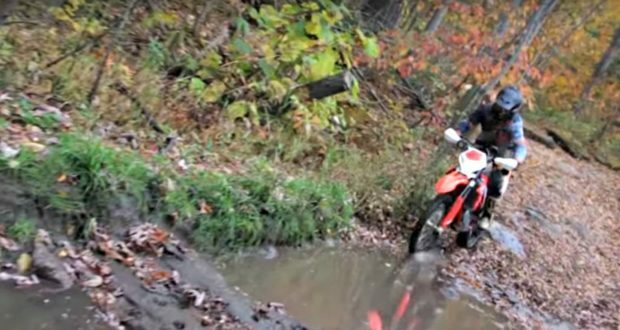 Lessons and drills will help riders understand and improve on clutch and throttle control, standing and sitting, tackling mud, braking, power turns, deep sand, rocks, logs, and emergency maneuvers. After a host-provided lunch break, the afternoon sessions will focus on off-road riding techniques and practice, follow by another GPS route. Motorcycles of all sizes are welcome, and the event promises to be the perfect way to shake out the cobwebs from a long winter, and learn some new techniques. Studio Cycle Group, Toronto’s Husqvarna dealership, will be on hand with a fleet of Husqvarna dirt bikes to test drive during class. Want to get in for free? Husqvarna Motorcycles is covering the entry cost ($85) for all Husqvarna riders attending the event. To get your free promo code, simply email Rally Connex and ask for your Ride Free Husky Promo Code. Not riding a Husky? No worries, you can still get in for $85, but pre-registration is the only way to guarantee your spot and lunch delivery. For details, see here for the May 6th and 7th classes or click here for the May 13th ladies-only event details. 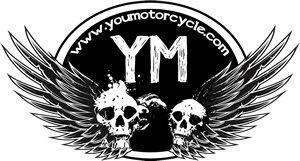 It’s great to see the motorcycle community coming together to provide riders with new experiences and training. In this case we see a manufacturer (Husqvarna) working along with trained motorcycle guides (Rally Connex) as well as with a Husky dealership (Studio Cycle Group). The fact that these three are even putting on a ladies-only event the following weekend to help support women in the sport is even better. Props to all three for putting this great initiative. Have fun, everyone! Next: 9 Days of Living the Dream in New Zealand!